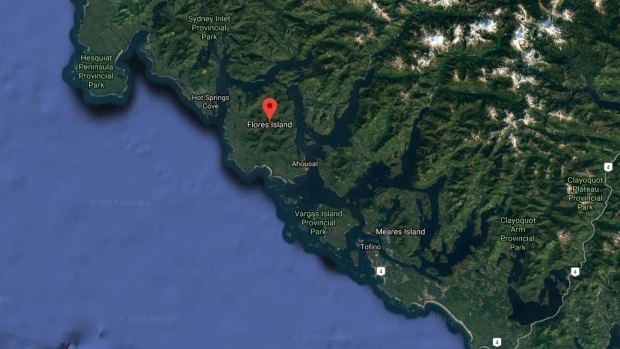 Flores Island, northwest of Tofino, is shown in a Google Maps satellite image. 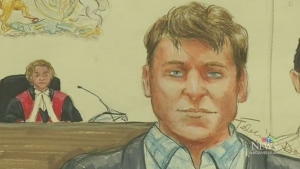 Search and rescue crews and the Coast Guard are looking for a person who set out on a canoe trip on the west coast of Vancouver Island and never returned. The Joint Rescue Coordination Centre said it was notified of an overdue canoe with one person on board near Flores Island Sunday afternoon. The person had left on a fishing trip at around 11 a.m. and was expected to return in about an hour but never showed up, according to JRCC. The canoe was found in the search area but efforts are ongoing to try to find the missing person, who has not been identified. The Canadian Coast Guard issued an urgency broadcast to try to track down the missing person and two vessels and a Cormorant helicopter were dispatched in the search. Local crews and RCMP members have also been assisting, as well as numerous resources from Ahousaht First Nation, according to JRCC.